Invisalign and traditional braces do the same job: straighten crooked teeth. However, the treatments have some significant differences. If you’re considering orthodontic therapy, the most important question is whether Invisalign or conventional braces will give you the best outcome. Regular braces have been around a long time, during which they have advanced to become more comfortable, convenient and discreet. Invisalign took the dental world by storm in 2000 with the introduction of clear, plastic aligners, which are practically invisible. Unlike fixed braces, Invisalign appliances are removable. Regular braces comprise brackets, wires, and bands and are regarded as more effective in treating complex orthodontic problems. However, the brackets and wires are fragile, which means you need to avoid hard or sticky foods that can damage them. Unlike Invisalign devices, traditional braces stay in your mouth all the time, working round the clock to straighten your teeth. The downside to braces being a permanent fixture is that brushing and flossing can be tricky, potentially increasing the risk of cavities and gum disease. The American Dental Association1 (ADA) says these oral health problems can lead to heart disease, diabetes, stroke, and pneumonia. Conventional braces are typically either metal or ceramic. Metal appliances remain a popular option and are the most effective braces to correct serious overcrowding of teeth. Nowadays, the wires of metal braces respond to body heat to realign teeth faster and more comfortably. A further benefit of metal braces is that they are the most affordable type. Although metal braces now are more comfortable and discreet, they are still the most visible type of braces. Ceramic braces are less conspicuous than their metal counterparts because they have tooth-colored or clear brackets. Ceramic braces realign teeth faster than plastic aligners but cost more than metal braces. If you don’t take good care of ceramic braces, they can be susceptible to staining. Invisalign aligners2 have become a popular alternative to metal and ceramic braces, largely because they have no wires. This enables precise repositioning of teeth and greater comfort. Invisalign aligners are made from medical-grade polyurethane resin (clear plastic) that eliminates the need for the wires essential to the mechanics of traditional braces. Neither does Invisalign entail elastics or even brackets. Invisalign devices are far less conspicuous than the brackets and wires of regular braces. Not only do Invisalign appliances have no troublesome wires, they’re removable, so you can brush and floss your teeth as normal, maintaining a high level of oral hygiene. The removability of Invisalign aligners also avoids the dietary restrictions that come with traditional braces. Maintaining a nutritious diet is essential during orthodontic treatment. If your body is healthy, the outcome of your treatment will be better. A good diet provides essential nutrients for the bones and soft tissues that undergo significant changes during orthodontic therapy. If you want to avoid a diet based on pasta and mashed potato, Invisalign will enable you to eat whatever you want – you simply pop your aligner out for meals and snacks. Although any orthodontic appliance can possibly affect your speech, Invisalign is unlikely to cause speech impediments. The aligners are made of thin plastic, so any impact they may have on your speech will be temporary and minor, although you may notice a slight lisp, which soon disappears. 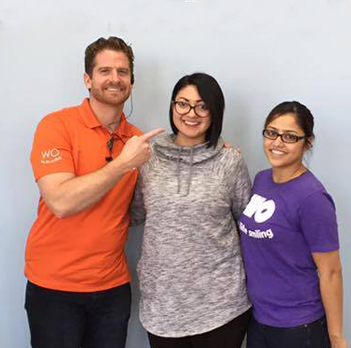 Invisalign provides far greater control than standard braces in how your teeth are realigned. Each aligner in the series is worn 22 hours a day for about two weeks. Each progressive movement of the teeth is precisely regulated and timed, with just a few teeth being slightly repositioned – horizontally, vertically and even rotating them – during each stage of the process. 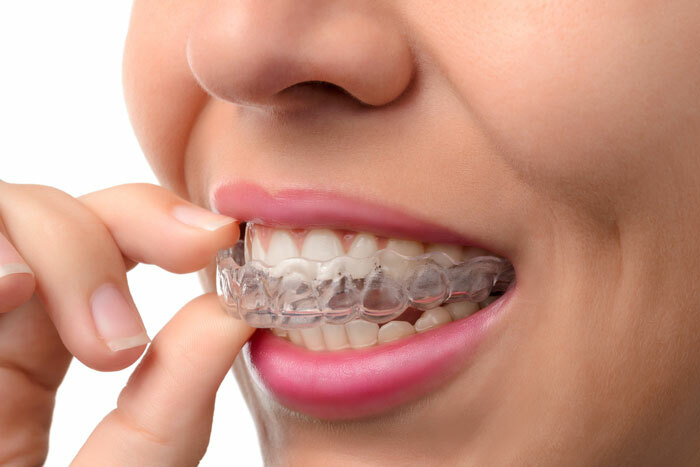 Compared with traditional braces, the convenience of the removability of Invisalign appliances may have a negative consequence. If you don’t keep your aligners in place for the recommended 22 hours a day, your orthodontic treatment could take longer. The trays of Invisalign appliances can be broken or lost, and new trays may cause some discomfort initially. Invisalign may not be suitable in all cases, especially with teeth that are severely crooked. Both Invisalign and traditional braces can solve a host of orthodontic issues to give you an awesome smile while providing many health benefits. Straight teeth not only look attractive, they’re easier to keep clean, avoiding a build-up of bacterial plaque and tartar, which can cause tooth decay and gum infections. Crooked teeth can also result in a misaligned bite that can cause headaches and jaw pain. If your teeth or bite are not functioning properly, you may find it difficult to chew your food. It’s far easier for your stomach to digest small pieces of food rather than large chunks. Once Invisalign or conventional braces have resolved issues with your teeth, you’ll have no worries about smiling, talking or any other activity that displays your teeth. This improvement in self-regard can help to enhance your mental health and overall sense of wellbeing. With a good routine of oral hygiene, you can keep your newly-straightened teeth healthy for the rest of your life. Need More Help in Comparing Invisalign with Traditional Braces? Invisalign and traditional braces both have a place in modern dentistry. If you’re likely to forget to wear Invisalign aligners, you’ll be better of getting traditional braces. On the other hand, regular braces may be right for you if you have a complex orthodontic problem such as an overbite or underbite. Any other dental problems that need to be fixed.